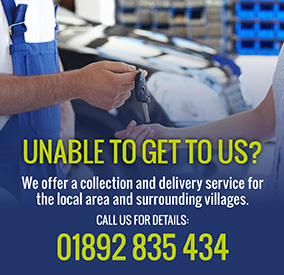 Conveniently located in the centre of town and only a five minute walk from the main line station, Paddock Wood Auto Repairs Ltd can work on your car whether you work locally or use the train for work in London. Having established the business over 30 years ago, we take pride in the reputation built on recommendations from existing customers and our reliability in providing a variety of vehicle services. Whether you require MOT testing, vehicle servicing, diagnostics or body work repairs, our friendly, experienced team is available to attend to your needs regarding all makes and models of car, van and other light commercial vehicles.